ient homes were secured. The west has been good to those who had the pluck and energy to fight the hard battle to a finish. Mr. Mumm was married in Kankakee county, Illinois, February 5, 1869, to Miss Louisa Buche, who was born in Wisconsin when her parents were following the construction of a railroad on which the father was employed. Her parents, John and Lelia (Frahm) Buche, were natives of Prussia and Holstein, respectively, coming to America about 1848. Mrs. Mumm died August 22, 1910. Of the six children born to Mr. and Mrs. Mumm, three are living: John H., who has purchased the farm from his father and is making a success of it; Jacob, as before stated, is engaged in merchandising at Copenhagen, his health precluding his remaining on the farm; and Katrina married Jacob Peterson, now a retired farmer residing in Plainview. Mr. Mumm was reared in the Lutheran faith. In politics he is a republican. Mr. Mumm has lived in Nebraska long enough to have witnessed one of Nebraska's three most noted blizzards. With a neighbor, he happened to be in Plainview January 12, 1888, when the storm broke. They started for home, but within a mile of town the whirling icy snow became so thick they could not see their team. The neighbor, longer experienced in the west, counseled a return to town, knowing they would not likely reach home alive. They spent the night in town, returning home the next day to find all safe. One of the freaks of the storm was illustrated on Mr. Mumm's farm: the chicken house was drifted full of the fine snow up to the roof, completely enveloping the fowls on the roost; most of them were alive by means of a small breathing hole through the snow, but they had to be dug out as a miner would dig out gold. The severe hail storm of 1890 played a prank on Mr. Mumm, taking a part of his oat crop but leaving his cornfields out of its path. Prairie fires were a source of danger in those days, but by care in plowing fire guards and fighting fires that did get under way, Mr. Mumm escaped the severe losses that many of the early settlers suffered. Mr. Mumm has lived through hard times, and is all the stronger for having endured those early privations; but with others he rejoices that Providence has vouchsafed him a life of comfort in his declining years. Niels Nielsen, an enterprising and prosperous farmer and stockman of Howard county, owns a valuable estate in Warsaw precinct. He was among the very first settlers in the locality, coming here with a Danish colony in the summer of 1871, and has remained through all of the good, bad and indifferent times experienced by the pioneers of his adopted state. During his entire residence here Mr. Nielsen has taken a prominent part in all the important affairs of his county and state, and has become well and favorably known throughout his section of the country. Mr. Nielsen was born in Denmark, January 3, 1845. He was the second member in a family of five children, four of whom eventually came to America, one sister having died in Denmark. Both parents passed away in Howard county, also a sister of Niels. Two brothers are residents of Howard county at the present time. Our subject came alone to the United States, arriving here in 1867, his first location being Waukesha county, Wisconsin, where he spent about two years. From there he went to Chicago and remained about two months; and then to Keokuk, Iowa, later to Burlington, Iowa. He secured employment with the B. & M. Railroad and followed that work for six weeks, then left the road and worked in the harvest fields at Davenport, Iowa, for a couple of months, returning to the B. & M. and following railroading for several months. He afterwards did different kinds of work in the southern states, spent some time at Burlington again, then went to Dubuque and remained, through the summer of 1870. His next move was back to Waukesha county, Wisconsin, there, he joined a Danish colony that was coming overland to Nebraska, and the party landed in Howard county after a tiresome trip. Those in this colony were among the very first settlers in the locality. Mr. Nielsen located on a homestead situated on section twenty, township fourteen, range eleven, and after putting up a dugout, started to establish a home. He went through every form of pioneer life, meeting with discouragements, hardship and privation, but never gave up hope, and through thrift and perseverance succeeded in developing a good farm and accumulating a valuable property, at the present time being owner of six hundred acres of choice farming land, occupying the original homestead as his home place. He is quite extensively engaged in the stock business, running a fine bunch of horses, cattle and hogs every year. Mr. Nielsen was married at Grand Island, on August 16, 1872, to Miss Marie Lausten, who was born in Germany and came to America in 1869. Mr. and Mrs. Nielsen have had ten children, the following named of whom are living, one daughter and two sons married and settled on Howard county farms, while the others are living at home. They are named as follows: Christian, who lives in Boelus; Valentine, in St. Paul; William, Alfred, Clarey, Henry and Helen, at home, the two youngest boys now teaching school in Nebraska. The two who died in infancy were Clara and Columbus. The entire family is well known throughout Howard county, and are popular members of the social life of their respective neighborhoods. all affairs of his county and state, and is classed among the wealthy and successful men of his locality. In presenting to the public a history of Nebraska, the list would not be complete without having mentioned the name of the gentleman above. Mr. Hansen is a native son of the state of Nebraska, his birth occurring in Fremont, September 28, 1875; he is a son of Christian and Christiana Hansen, who are natives of Denmark. In 1882 Mr. Hansen came with his parents to Valley county, Nebraska, where he received the greater part of his education and grow to manhood. In 1897 he bought one hundred and sixty acres of land in section four, township twenty, range fourteen, which is still his home place. Mr. Hansen is a man of good attainments, and enjoys the highest esteem and respect of a wide acquaintance. He always devotes his best efforts to aiding in the development of the natural resources of Valley county, and has helped to build up the community in which he has chosen his home. Mr. Hansen's parents live in Valley county, and are a well known pioneer family, having resided here some twenty-eight years. They, as well as our subject, have experienced nearly all phases of Nebraska farm life, and have all been potent factors in the growth and advancement of all the best interests of their home state and county. Augustus M. Cunningham, now retired and living in Madison, Nebraska, is one of the oldest farmers of Madison county, and also a prominent pioneer of that region, widely known as a citizen of true worth. He has always taken a great interest in the development of the locality in which he has chosen to reside, and is counted among the prosperous and successful citizens of his county. Our subject is a son of David and Agnes N. Cunningham, both of whom are deceased. He was born in Juanita county, Pennsylvania, on August 31, 1842, and was the youngest of their eight children, of whom but himself and a brother, David Cunningham, of Wayne, Nebraska, are now living. Mr. Cunningham received his education in his home state, and in September 1862, enlisted in Company F, Sixteenth Pennsylvania Regiment of Cavalry, serving until the close of the war, receiving honorable discharge on June 17, 1865, at Lynchburg, Virginia, and participating in the grand review of the army held at Washington. He was with his regiment during the battle of Kelley's Ford, Gettysburg, Travillion Station, and Mine Run; during the last mentioned engagement receiving a serious wound which disabled him for four months. Besides the above he also took part in many minor encounters with the enemy, and saw all the suffering and hardship incidental to a soldier's career. After leaving the army he returned to his home state and engaged in farming. Mr. Cunningham was married on January 5, 1871, to Mary Elizabeth Ellis, also a native of Pennsylvania, who had been a public school teacher for some years there. In the spring of the same year the young pair came together to Madison county, Nebraska, where our subject homesteaded on section twenty-seven; township twenty-three, range two, which remained the home place up to 1906, at which time Mr. Cunningham retired and settled in a good home in Madison, where they now live surrounded by many good friends. Mr. Cunningham was always a leader in every movement to build up his county and state, helping organize the first schools here, and for over thirty years was a member of the board in district number twenty-two. Mr. and Mrs. Cunningham have had four children, namely: Arthur K., who died in 1903, survived by a wife and one son; Alexander E., married and occupying his father's homestead with his wife and two children; Martha A., wife of Dr. W. E. Reed, mother of one child, they living in Valley, Nebraska, and Alma M., wife of O. F. Peterson, they the parents of one child, and residing in Madison county. Mrs. Cunningham's parents are both dead. She has four brothers and three sisters, all living in Pennsylvania. James D. Finley, an early settler of Custer county, has passed through the many trying experiences of pioneer life and has always taken his part in promoting the general progress and development of the region. He is well and favorably known as an enterprising and useful citizen and has a large circle of friends. He is a native of Monroe county, Indiana, born July 24, 1838, youngest of the sixteen children of George and Frances (Hancock) Finley, and the only member of the family now surviving. The father was born in Kentucky and the mother in South Carolina, she being a niece of John Hancock, the first signer of the Declaration of Independence. Both died in Indiana, he November 3, 1851, and she in 1875. They were married in Tennessee March 1, 1812.
in Indianapolis August 15, 1865. He participated in many decisive battles, among them: Pea Ridge, Arkansas, March 7 and 8, 1862; Perryville, Kentucky, where he was color bearer; Stone River, Tennessee; Chickamauga, Mission Ridge, Kenesaw Mountain, Peach Tree Creek, Rome, Dallas, Siege of Atlanta and Jonesboro. He also took part in many minor battles and in the grand review in the city of Washington in May, 1865. At the close of the war Mr. Finley returned to his Indiana home and on December 5, 1866, married Miss Lucy A. Mathers, a native of Indiana, who died in February, 1878, being survived by her husband and six children: Edgar, married and living in western Nebraska, has two children: Mattie, died at the age of fourteen years; Mary J., married B. F. Morse, and they live in Iowa and have seven children; George, of Custer county, is married and has five children; Fred, married and living in Custer county, has three children; James, of Fairbury, is married and has one child. In the fall of 1879 Mr. Finley came to Custer county and took up a one hundred and sixty acre homestead three and one-half miles east of Sargent, which was his home for a number of years. He was instrumental in organizing school district number thirty-six, and served as the first director of the same. He has also held various township offices and has served as justice of the peace. On March 15, 1882, at Grand Island, Nebraska, Mr. Finley was united in marriage with Mrs. Julia (Dillman) Butcher, who was born in Monroe county, Indiana. In 1893 they left the farm and moved to Sargent, which has since been their home, with the exception of one year spent in Lucus county, Iowa. They have traveled extensively through the United States and in 1910 spent seven months in Florida and other states along the Atlantic coast. They are well known in social circles and have a pleasant home in Sargent. Peter Dreesen, proprietor of one of the most valuable estates in Cedar county, Nebraska, has been a resident of that locality for many years. He is prominently known as one of the most progressive and successful farmers in the western part of the state. Mr. Dreesen's parents, Theodore and Agnus Dreesen, were both Germans who came to this Country in 1852, and our subject was born in Wisconsin in 1859. His childhood was spent in this state and it was here that he obtained his education. On November 2, 1873, the subscriber with his parents, started for the west in a wagon, where they could get land cheaply. They journeyed on until they came to Cedar county, and there filed on a homestead in section six, township thirty. They also took up a timber claim adjacent and planted thirty-five acres of fine trees. The first years on the homestead were very hard, but as the years passed by and the country became more thickly settled and more resources were developed, times became much better. The first building on the homestead was a cottonwood shanty, but that has long since given place to a fine modern house. Other buildings have been added from time to time, as occasion demanded and means permitted, and one improvement after another has been made upon the farm until it is now one of the finest in the county. In 1873 Mr. Dreesen was united in marriage to Miss Catherine Suing, of Cedar county. They are the parents of five children, named as follows: George B., Madeline, Euphrosena, Stephen and Roman. For more than thirty-five years, Mr. Dreesen has been closely identified with the best interests of the community, and is regarded as one of those citizens whose integrity and industry, thrift and economy have added so much to the material wealth and growth of the state. He is a director of school district number fourteen. One of the most interesting personalities to be found within the borders of the state of Nebraska is the venerable John T. Prouty, a portrait of whom is presented on another page, now living, retired from active life, in the town of Spencer. He is the first settler of the city of O'Neill, and was, at the time of filing on his homestead claim there, one of the first white settlers in the upper Elkhorn valley. He was the first merchant of the place, the first notary public of the county, and holds several other premier honors of the early day. His claim was, at the time of his locating on it, five miles west of that of William H. Inman's, one of his old school chums, the next nearest neighbor to civilization. Mr. Prouty moved on to his homestead quarter July 14, 1873, and with his timber and pre-emption claims had a fine body of land in the beautiful valley. In strange contrast with actual developments, he amusingly relates that he and a neighbor agreed that a man might extract a living from the soil of the immediate valley of the Elkhorn, but that to attempt to do so from the broad tract of prairie to the north would be utter folly, because of the lack of rain and the yearly prairie fires. This entire region is now a thickly settled, highly productive part of at fertile commonwealth. son began life for himself in 1859, farming a ninety acre tract of land, though continuing under the parental roof until 1867. This was heavily wooded land and had to be cleared of the timber before it could be brought under the plow. Thousands of feet of fine timber, that today would be worth a fortune, were felled, rolled into heaps, and burned as a cumbrance to the ground. Log houses with puncheon floors, open fireplaces, and stick chimneys were the rule, and a house with a brick or stone chimney was an unusual sight. Bunches of hickory, splits bound together, were used at night as torches to light the way from one house to another, though travel by night was an unusual occurrence. Paul Frauen, who holds a foremost place among the pioneer settlers of Merrick county, Nebraska, has built up a fine estate in Merrick county on section thirty-two, township twelve, range eight. He has since his residence in this region done his full share in the upbuilding of his locality, and has become one of the leading and substantial citizens of his community and enjoys the esteem and respect of all with whom he has had to do. Paul Frauen, son of Paul and Cecelia (Janss) Frauen, was born in Germany, September 22, 1847, and was the eldest of five children. The parents died in Germany. 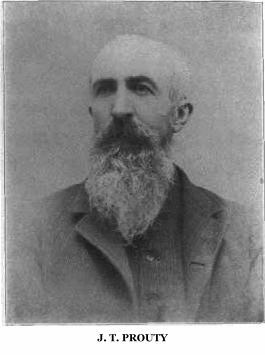 Mr. Frauen received his education in the schools of his home country and in 1866 came to America locating in Scott county, Iowa, where be followed the occupation of farming. In 1868, Mr. Frauen came to Merrick county, Nebraska, where he homesteaded eighty acres of land on section thirty-two, township twelve, range eight, in Vieregg precinct, which has remained the home all through the years. In 1869 Mr. Frauen was joined by his brother, Claus Frauen, the two going into partnership in farming. On March 10, 1876, Mr. Frauen was joined in marriage to Catherine Paustin, who also was born in Germany and came to America in 1866. Mr. and Mrs. Frauen have had five children born to them: Cecelia, deceased in 1907, survived by her husband, Max Cornelius, and one child; Otto, who is married, has two children and lives in Merrick county; Henry, married, has one child living and lives in Hall county, Nebraska; John J. is married, has one son and resides in Merrick county; and Anna, wife of Chris Sass, has two children and lives in Merrick county. Mrs. Frauen died March 23, 1897, at the home farm. Mr. Frauen has been prosperous and successful and owns two thousand three hundred and twenty-three acres of stock and grain land. He has served as supervisor of his county, and has also officiated as precinct assessor. He helped to organize his school district number one and served as director of same twenty-five years. Mr. Frauen is now one of the directors of the First National Bank in Grand Island, Nebraska, and is a successful man of affairs interested in all pertaining to the welfare of his state and county. He has passed through all the discouragements and trying experiences of frontier life and is one of the best known men of his county, enjoying the respect of all who know him. He first built a sod house, a few years later a frame house, and in 1900 erected a beautiful home, where he now lives, on the old homestead. A typical pioneer of northeastern Nebraska is represented by the gentleman above mentioned. He has spent many years in this section of the country, and has been a material part of the growth and progress of this region, building up for himself a substantial home and fortune by his perseverance and thrift, and through his integrity and honesty becoming one of the foremost citizens of Knox county. G. E. Van Kleek was born near Madison, Wisconsin, December 17, 1871. He is a son of Adison and Helen Van Kleek, both natives of New York state, who came from Wisconsin to Nebraska with their family in 1883. Here the father was a homesteader. G. E. Van Kleek's farm is now what is familiarly called "The Henry Grim Homestead," which Mr. Van Kleek purchased in July, 1899. This was a partly improved property when he acquired the place, and he has since added much to its appearance, erecting good buildings, planting trees, and fitting it up with good fences, etc. He engages in stock and grain raising, and is fast gaining the reputation of one of the most progressive and prosperous residents of his section. Mr. Van Kleek was married December 5, 1895 in Walnut Grove township, Knox county, Nebraska, to Millie Grim, who was born in Buchanan county, Iowa, and came with her parents to Knox county, Nebraska, in 1873. One child has blessed their union, Dollie, born in 1896. Mrs. Van Kleek's father, Henry Grim, was one of the very oldest settlers of Knox county, and died in December, 1895. William F. Kremer, retired farmer residing in Fullerton, Nebraska, is one of the early settlers of Nance county. He followed active farming in Newman precinct up to 1907, when with his family he settled in town, where they enjoy all the comforts of a modern residence and a large circle of friends. selling it in 1907 at a good round sum. In the latter year he purchased a fine home in Fullerton, also has acquired a section of land in North Dakota, and is possessed of a good income as a reward for his many years of labor. He is considered one of the substantial and representative citizens of his county, and an active man of affairs, with his family enjoying a large circle of friends and the esteem of everyone with whom he comes in contact. Mr. Kremer was married in Pennsylvania, September 25, 1877, to Virginia A. Aldrich, and they have had four children, two now living. During the earlier years, Mr. Kremer took an active interest in establishing the schools in his locality, and served on the school board in different capacities. Pioneering runs in the blood of some families, the spirit of the frontier being transmitted from father to son for generations. Of such timber is John Story, the veteran merchant of Butte. His parents, William and Susan (Bayne) Story, were early settlers of Louisa county, Iowa, where John was born. The father was a native of Ireland, and he died in Kansas at the age of sixty-six. The mother, who was born in Kentucky, passed away in Iowa, having traveled in life's journey beyond the sixty-third milestone. John Story's birth occurred in the town of Wapello, September 14, 1846, and here he grew to manhood, married, and engaged in farming near his native city until his migration to the Nebraska country, of which glowing reports had reached far beyond the eastern borders of the Hawkeye state. Mr. Story's advent to Nebraska dates from April, 1883, when he settled in Rock county, fourteen miles northwest from Stuart, filed on a homestead and timber claim, and for seven and a half years lived the life of a ranchman in the new west. When the Indian country north of the Niobrara and Keya Paha rivers was being thrown open to the white settler in 1890, Mr. Story sold his ranch in the fall of the year and drove overland to the new town of Mankato, two miles southeast of where Butte was located a year later, and here opened a hardware store, the first of the. kind in the new territory. When, a year later, the county seat was established by proclamation at Butte, Mr. Story cast his fortunes with the new town and moved his stock over to the town site, again being the first in his line in the infant metropolis. Since that date, Mr. Story has been continually in business and has built up a trade extending into adjoining counties and across the border into the neighboring state. He carries a full line of shelf and heavy hardware, and other goods of that class on demand. His square dealing has won for him the confidence of a wide circle of patronage that has remained with him against all competition. Mr. Story was married in Wapello, Iowa, November 4, 1869, to Miss Caroline Weber, a native of Iowa, and a daughter of George and Rachel (Hartman) Weller. Of six children born to them, four are living: Rosanna, wife of James A. McLaughlin, cashier of the Citizens bank of Butte, George William, who with his mother is proprietor of the leading general store in Butte; Stella M., and Harvey H., the latter proprietor of a clothing store in Butte. Mr. Story is a democrat in politics, a member of the Methodist Episcopal church, and of the fraternal order of the Ancient Order of United Workmen. When Mr. Story first settled in Rock county, deer and antelope were plentiful, and he has often seen a herd of deer grazing on the hills a mile away when following the plow in his fields, but being too busy farming to follow the chase, he never killed any of the larger game. During the Indian scare of 1892, Mr. Story felt little uneasiness, and when at Stuart on business one day, found its citizens in a worse nervous condition than the people of the newly opened reservation. The state of feeling was best illustrated to him when he noticed that there were but three passengers on an incoming train from the east, and that every car was packed the next morning when the train left for Omaha and beyond the Missouri. Many of the passengers, never returned to the west, but those who did return have had no occasion for regret. The old chief Yellow Horse, was a great friend of Mr. Story. and promised to let him know if any real danger should arise, a promise that would have been faithfully kept. Mr. Story had the usual experience of the pioneer in the west; prairie fires had to be fought, blizzards were encountered, and the crops were laid low by the hail, of which several storms passed over the farm when he was living in Rock county. His goods, during the early years he was in business in Boyd county, had to be freighted across country from Atkinson until 1902, when the railroad was extended up the Ponca valley. There were ferries at some places on the Niobrara river, and at other places pontoon bridges, fording the treacherous stream being fraught with danger. Mr. Story did not for years live, as most pioneers do, in a sod house, but on coming to Boyd county, that was the only dwelling available at Mankato, and for ten months he lived in a "soddy" in the new town. Pioneering had its drawbacks, but it had its pleasures, too, and a frequent expression of the first settlers, recounting the hardships of those early times is: "Those were the happiest days of our lives." FRED E. CULVER AND ALANSON CULVER. traveled overland to California in the search for gold and, like many others of those memorable times, was sadly disappointed in his quest. However he became successful later in life in the pursuit of agriculture, and at the time of his death, January 26, 1891, was classed among the well-to-do residents of his section. Mr. Culver came into Boone county from Dane county, Wisconsin, in 1877, and made homestead entry on one hundred and sixty acres in section twenty-five, township twenty, range six, returning to Wisconsin for his family in June, the following year. He engaged in farming and stock raising, and followed that work during his entire career. He was always active in building up his locality, was progressive and a leading man of affairs in all township and county. Mr. Culver was survived by his wife and four sons, the former dying March 3, 1911. She made her home with her youngest son, Fred E. Culver, and was a charming woman. Fred E. Culver, youngest son of Alanson and Mary J. Culver, was born in Dane county, Wisconsin, on July 12, 1871. When he was seven years of age, he came to Nebraska with his parents, and has made this state his home, with the exception of five years, up to the present time. He attended the local schools of Boone county, and has practically made his own way since he was seventeen years old. Mr. Culver spent five years in the lumber woods in Wisconsin, doing all sorts of work there, and gained a wide experience of camp life. He returned to Nebraska in the fall of 1893, and for some time was agent in Boone county for a large fruit tree firm, later connecting himself as a partner with a general mercantile store in the city of Boone. In addition to a good stock of merchandise, the company ran a creamery department, and also dealt in stock and grain. Our subject continued in this business for four years, then disposed of his interests, and since that time has been engaged in different enterprises, giving considerable attention to the stock business, feeding, buying and selling horses. Mr. Culver is now located on a fine farm situated on section twenty-seven, township twenty, range six, fully equipped for grain raising and as a stock farm, and is becoming one of the prosperous and leading citizens of his section. He also owns besides his other interests, considerable range and farm land in western Nebraska. On December 15, 1897, our subject was married to Miss Nellie A. Postle, the ceremony taking place at the home of the bride's parents near Boone. Mr. and Mrs. Culver have two sons, Ivan Justin and Alanson Frederick, bright and interesting youngsters, and the pride of their parents' hearts. Among the older settlers of Wayne county, Nebraska, who have acquired a very fair degree of success in farming and stock raising, may be counted Christopher Pieper, who has made his home there since about 1881. He is a native of Lippe Detmold, Germany, born in 1851, and a son of Mr. and Mrs. Pieper, who spent their entire lives in Germany. Mr. Pieper was left an orphan when still a small boy, and had to look out for himself at a tender age. He was educated in his native country, and lived there until about thirty years of age. In 1881 he left home, came to America and soon afterward bought a tree claim in Wayne county, which he has since owned. This land is well located on section two, township twenty-five, range one, and contains rich, fertile soil. He has spared no pains to make all possible improvements and now has a fine estate, with a comfortable home, and has also added to the value of the place by planting a grove twelve acres in extent and consisting of fruit and shade trees. He is an industrious and energetic farmer and everything on his property speaks of thrift and prosperity. In 1884 Mr. Pieper was united in marriage with Miss Mina Holbert. Three children have blessed this union. Mr. Pieper and his wife have always been much interested in educational matters and have been prominent in social circles, both having many friends. One of the prominent old residents of Stanton county, is the gentleman whose name introduces this sketch. He has resided in this part of the country, for many years, and is regarded as one of the most successful and influential farmers of the community. He has a comfortable home, located very pleasantly in section nine, township twenty-three, range one, east. Mr. Lubke was born in 1842, in Pommeron, Germany, and is the son of Charles and Freda Lubke. The subscriber spent his childhood years in Germany, and obtained his early education in the German schools. When he was twenty-five years old, he decided to cast in his fortunes with the new world, and accordingly set sail from Bremen in a small sailing vessel, which took seven weeks for the trip to New York City. Upon his arrival in the United States, he came directly to the central states, then regarded as the west, and remained in Wisconsin for three years.